From One of the Greatest Bands in History Comes a Reminder to Never Give Up Hope. 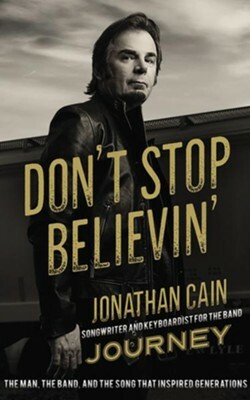 In this long-awaited memoir, songwriter and keyboardist Jonathan Cain takes us on an odyssey from center stage with Journey when all America was listening to songs like "Don't Stop Believin'," "Faithfully," and "Open Arms," to his hope and faith today. He tells of the thrilling moments when the music came together and offers an inside look at why Steve Perry left and the extraordinary story of their gifted new vocalist, Arnel Pineda. 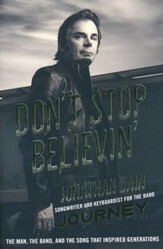 I'm the author/artist and I want to review Don't Stop Believin': The Journey of a Man, the Band, and the Music - unabridged audiobook on CD.